Sorry, we're temporarily out of this item. We'll ship it as soon as it's restocked. This deluxe book showcases the unique costumes featured in the Star Trek franchise, from Mr. Spock’s staid Starfleet uniform to Uhura’s alluring mirror universe outfit. 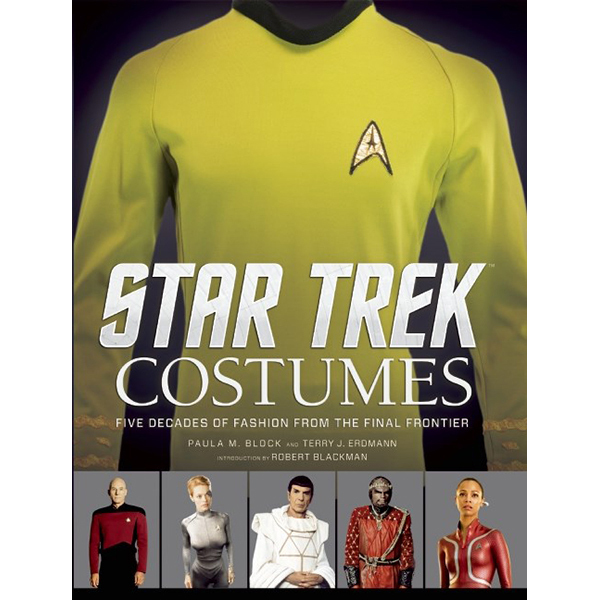 The book features a dazzling wardrobe gallery that explores beautiful and innovative fashions from the various film and television versions of Star Trek, including many different iterations of the iconic Starfleet uniform, exquisitely designed alien garb, and much, much more. Every costume is examined in intimate detail, tracing the design process from preproduction sketches to the final stunning outfit. Exclusive interviews with costume designers and experts put the images into context. This unique visual treat delightsStar Trek fans and fashionistas alike.